UAE. 2012. 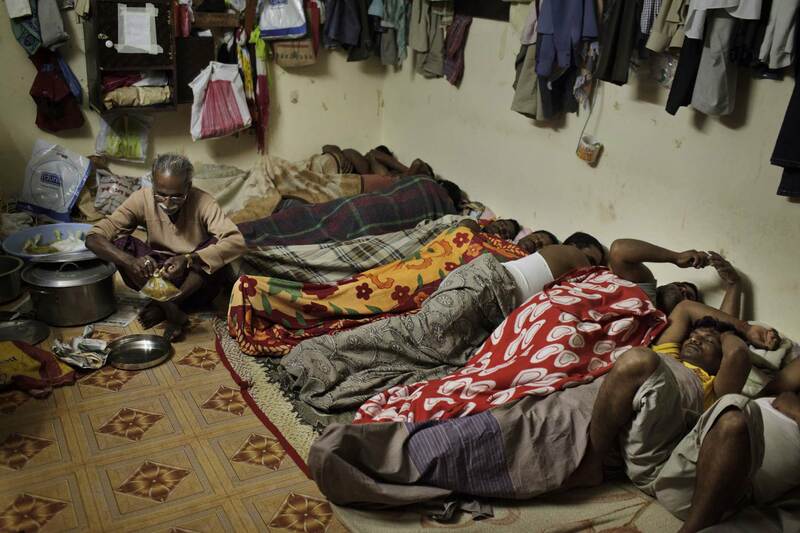 Dubai A dozen Indian migrant workers share this room, sleeping on the floor without mattresses to save space and costs. Living conditions in apartments rented by guest workers and company labor camps are very often of very low quality.